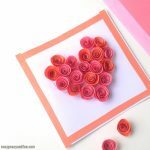 Make a cute Valentine’s day card from the heart – the heart card. 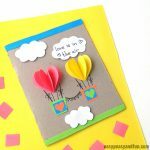 Simple card that opens up to reveal a message. What’s not to love! 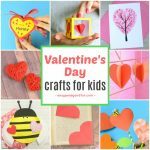 We have been busy sharing all kinds of arts and crafts ideas for Valentines day, and one of the more popular ones are certainly cards. 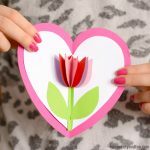 A simple piece of paper can quickly become a wonderful gift from the heart. 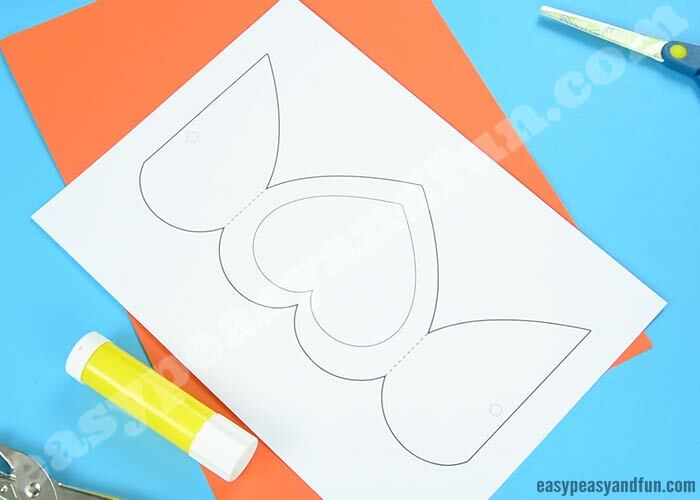 This one is pretty straight forward to make, but we do know drawing a heart can sometimes be hard, so we have also prepared a printable template for you. Ready? 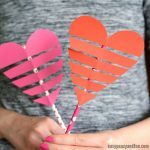 Let’s make a DIY heart card. Print out our template. 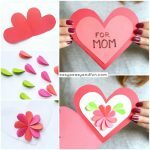 You can either use it as a stencil or as a color in heart card template. 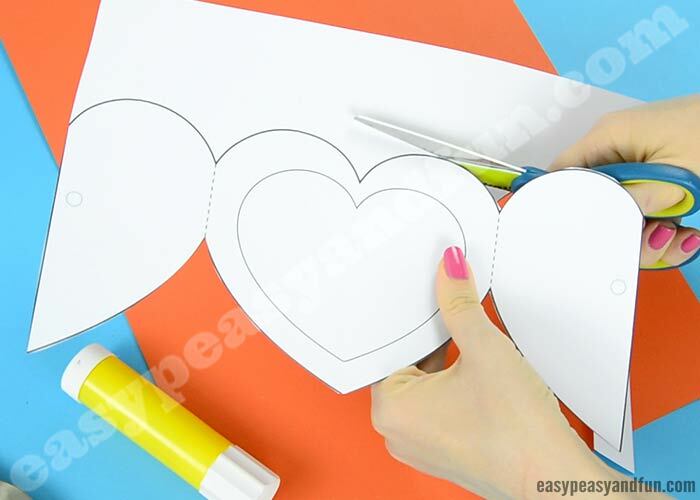 If you are using the heart card template as a stencil, trace the shape on construction paper. Cut out the card shape. 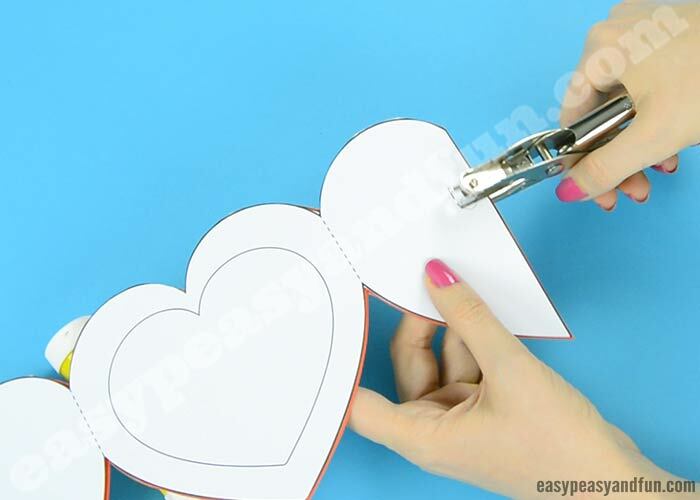 Place the stencil on top of your cut out and punch holes through the holes marked on the template. You can also do this without the template. 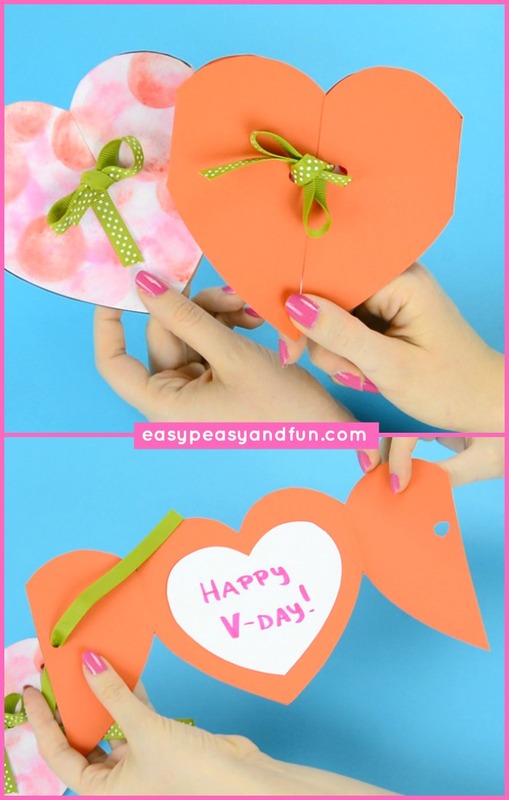 Cut a smaller heart shape and glue it inside the card. Alternatively you can also use yarn (even better for smaller hands as it’s easier to tie).